Spokane, WA. (February 20, 2013) – Survey results released today by Strategic Research Associates identify areas within Spokane County that residents feel could benefit from business and industry investment to boost employment and improve the well-being of the community and its transportation, local culture and property values. The research was designed in such a way to allow respondents to freely identify any area they felt could benefit from investment, leaving no stone unturned. In an open-ended question, respondents were asked to identify which area of the county they felt could benefit the most from an increase in industry and business investment. Of the 400 responses received, the North Side, Spokane Valley, and Hillyard received the most community support for investment. Among Spokane City residents, 23% suggested the North Side of Spokane as an area for investment, and 17% suggested Hillyard. Spokane County residents were more likely to suggest Spokane Valley, as 23% of those who live outside of the city limits suggested the valley as an important investment area. 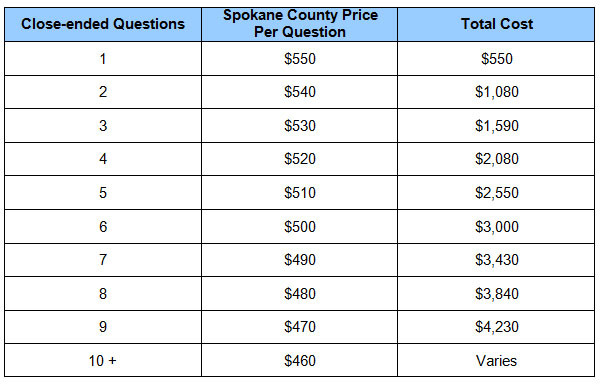 Additional popular responses among city and county residents include West Central (11%), Spokane County (10%), East Spokane (7%), and Airway Heights (6%).